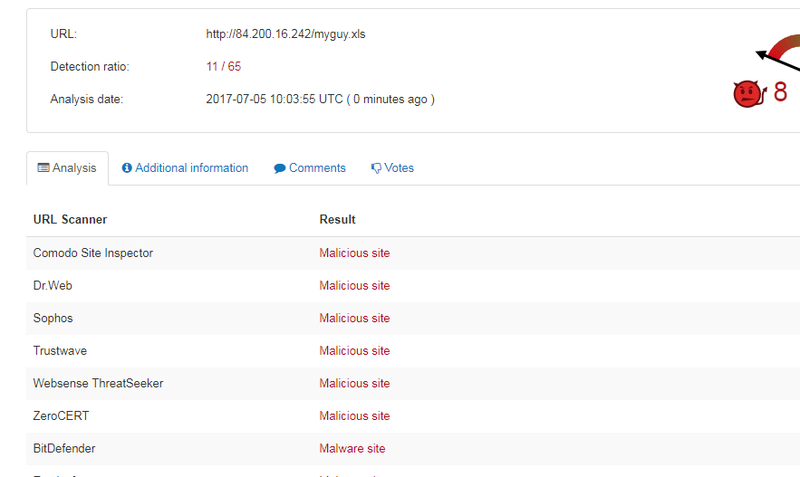 CVE-2017-0199 is found in the latest malware campaign. For this vulnerability, patch was already available in Microsoft security updates. This vulnerability is about the execution of arbitrary code via a crafted document by remote attackers. RTF file format detected. Please use RTFScan. We further drilled down that embedded object and we found interesting information in that. It downloading file called myguy.xls from a suspicious IP address. Patch already released by Microsoft on April 2017. It is advised to block this malicious url in firewall/proxy. Status of api.ipify.org - is it malicious or non malicious? 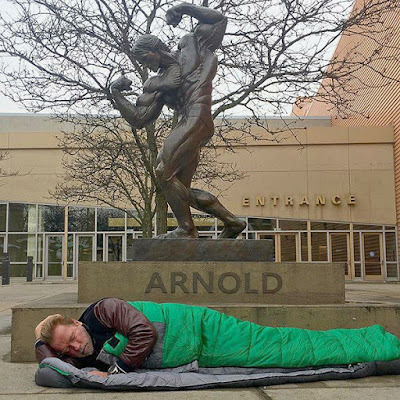 Arnold Sleeping under statue: Is he really not getting hotel room?